I have watched a lot of crow behavior in the backyard, but rarely understand what is going on, except for these two examples from the past week. One crow picked up a stick from the garden, hopped to the bird bath, and dropped the stick in, swizzled it around, then picked it up and flew off. Was this done to make the stick more flexible for weaving into a nest? Or is this a young bird just learning how to make its own tools? Another crow did the same thing with a slightly larger stick, soaking it for a minute or two before flying off with it. Perhaps this was to be used in nest building. Crow nests are elaborately and tightly woven large platforms that are often used by raptors the next season. 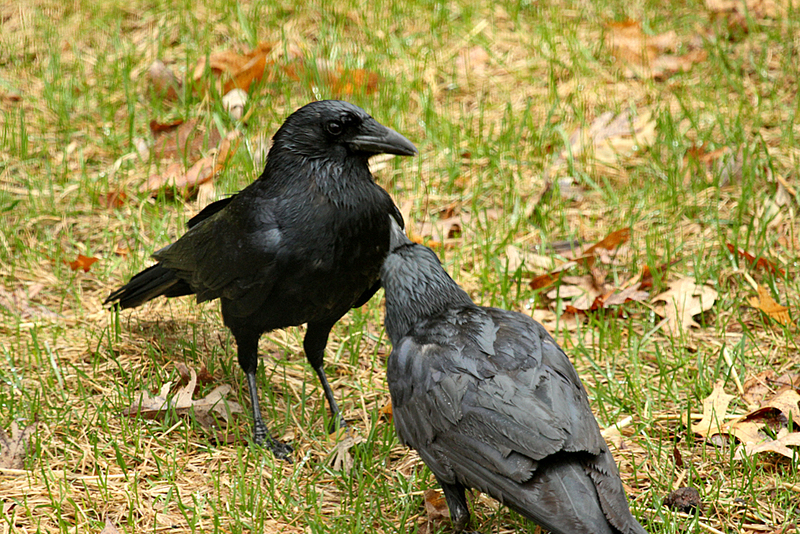 There has been a lot of crow social interaction in the backyard lately, with several individuals congregating in one tree or another, calling to each other about something or other. 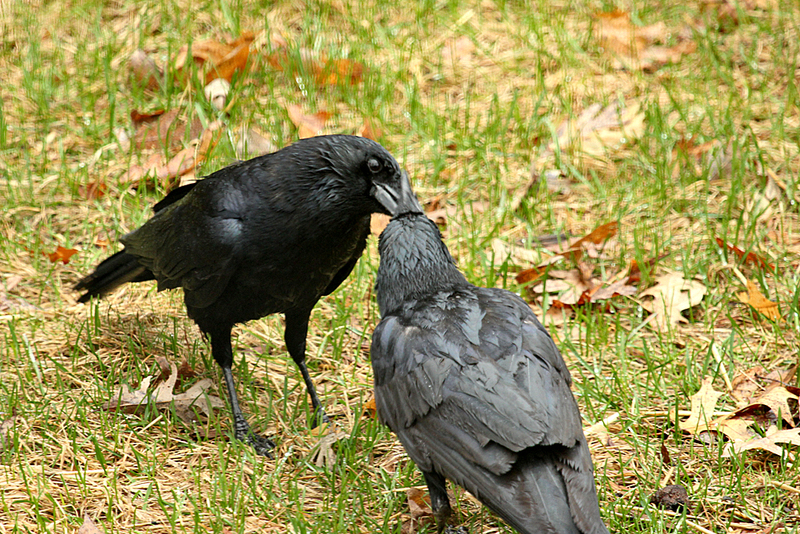 But one interaction between crows was a little different. Is this begging behavior? At first the beggar is ignored, or seems to be ignored. 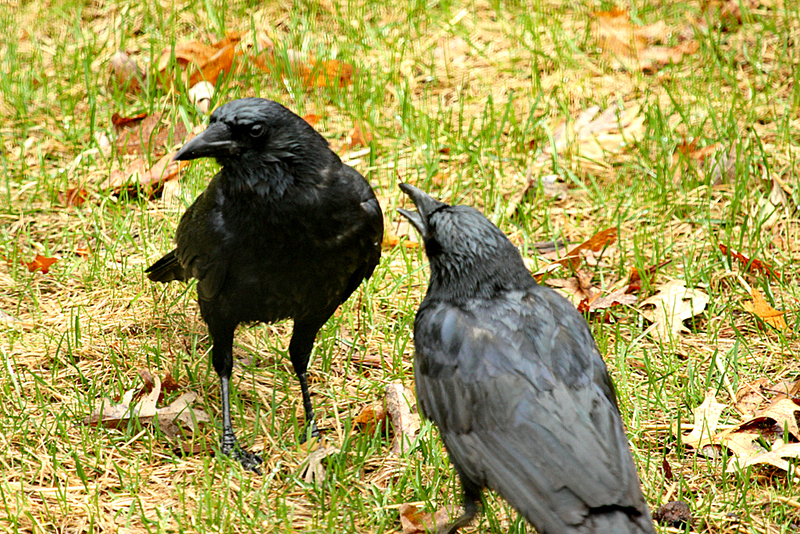 The beggar lowers its body, opens its beak wider, squawking at the adult, which seems to be getting it noticed by the other bird. Well, it must have worked, because the adult(?) did finally give up something to this persistent beggar. Crows might be in the final stages of nest building now, egg laying and incubation takes about 20 days, nestling growth another 35 days, so I am pretty sure this is a youngster reared last year. Juvenile offspring take at least two years to mature and stick around the parents’ territory to “help” (some say they don’t help very much) rear the next crop of chicks. Such prolonged dependence on adults, as well as the cooperative social interactions of close-knit family groups, is an indicator of complex behaviors often associated with higher intelligence. 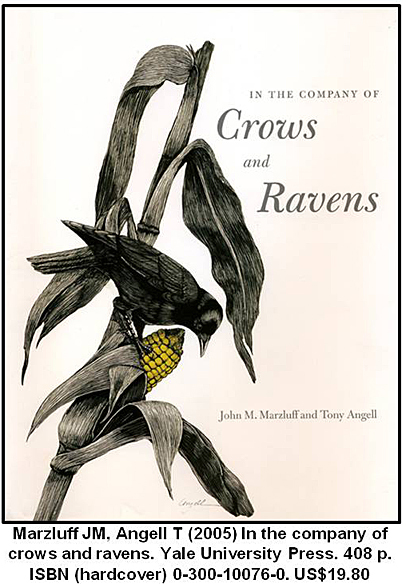 Whole books have been written about the complex behaviors of crows and ravens, some authors arguing that the complex social behavior of crows mimics that of humans and that our own cultural evolution has been influenced by them. Some of us might take issue with that — but you can read more about this here. 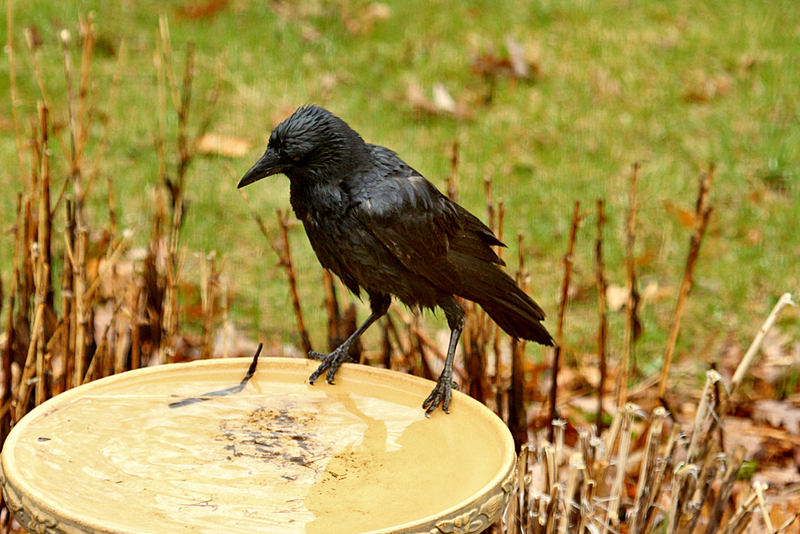 This entry was posted in Behavior, Birds, Minnesota wildlife, Nature, spring, Wildlife Photography and tagged american crow, bird intelligence, complex social behavior, Corvus corax by Sue. Bookmark the permalink. I just realized that I’m not sure if I’ve ever seen a crows nest. I’ll have to Google them and see what they look like. 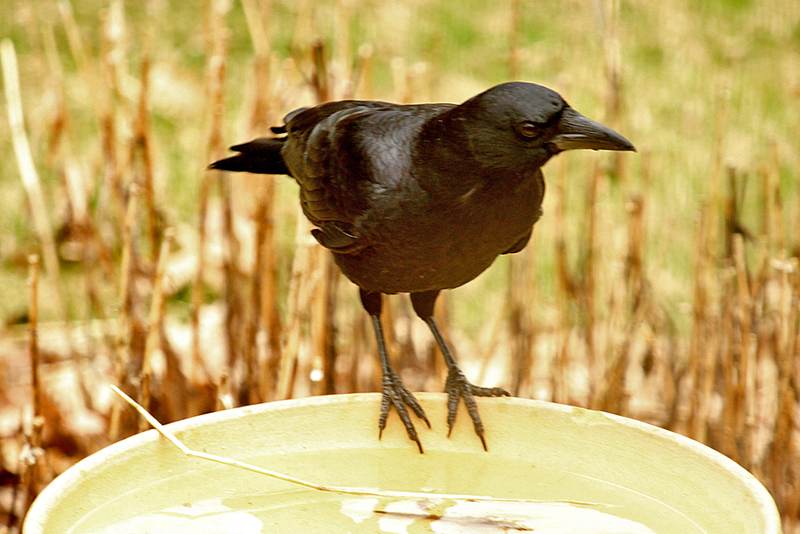 Crows almost disappeared from the Chicago area during the West Nile outbreak but now their numbers are going back up. I like to watch them too. There are a few that hang out in my Cottonwood tree, make lots of noise and even chase hawks, but rarely land in the yard. The exception was to steal a nestling for a meal. Not pretty to watch, but educational – I didn’t realize they took more than eggs. Crows are very clever creatures. They certainly are, and I wish I understood more about them. 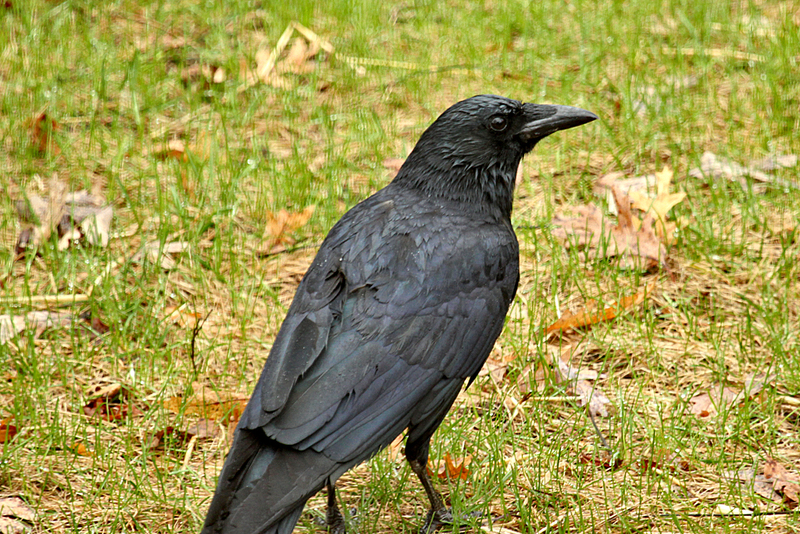 I have a few crows swirling around my little yard in The Netherlands. They scare the little birds away when I scatter some food but ‘stand their ground’ when some bullies fly in…the sea gulls! Wow — two bad guys (the crows and the gulls). With them around, how does any other bird get a meal?